I just had a short weekend trip to Copenhagen to visit a friend of mine. And of course I had to stop in the makeup department of the taxfree shop. Here are what I found. Urban Decay - Pore Perfection complexion primer potion. 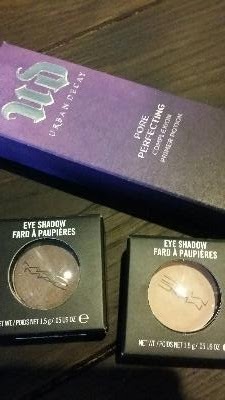 MAC eyeshadow in Satin Taupe and one more that I have packed so can't remember the name.